Three weeks after Gov. Peter Shumlin fired Agency of Human Services secretary Doug Racine, another AHS leader is on his way out the door. Commissioner Dave Yacovone announced Wednesday that he’s leaving the troubled Department for Children and Families to take an undisclosed job outside state government. He’ll be replaced by AHS general counsel Ken Schatz, a former Burlington city attorney. Yacovone disclosed his plans Wednesday at a hastily-called press conference at Gov. Peter Shumlin’s Montpelier office. He was joined at the podium by a cadre of DCF leaders and by the governor himself, who praised Yacovone and insisted his departure was voluntary. At the urging of his wife, Yacovone explained, he applied two months ago to a new job closer to his Morrisville home. He declined to disclose where he’s going, citing the wishes of his next employer. DCF has come under intense scrutiny since the deaths of two toddlers — Dezirae Sheldon of Poultney and Peighton Geraw of Winooski — under the department’s supervision. Republican leaders and an advocacy group called Justice for Dezirae had called for Yacovone’s and Racine’s ousters. But throughout Wednesday’s press conference, Shumlin maintained that Yacovone was leaving on his own terms. 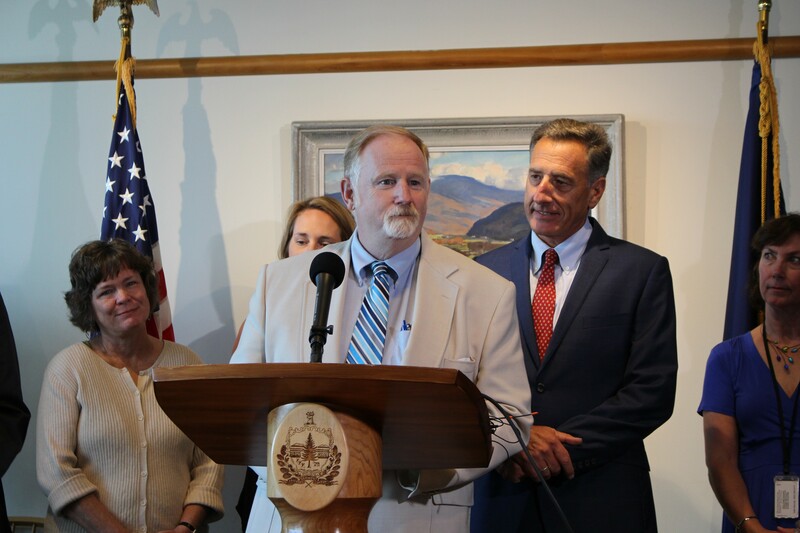 Shumlin noted the stresses of his commissioner’s job, calling it “one of the toughest jobs in state government,” and Yacovone acknowledged the struggles he’s faced since he was appointed commissioner in 2011. One of six departments in the Agency of Human Services, DCF provides food, fuel and monetary assistance to low-income Vermonters and oversees child protective services. In addition to serving as Burlington’s city attorney, Schatz has worked as a juvenile defender in the state defender general’s office and as a staff attorney for both the Mental Health Law Project and the Vermont Developmental Disability Law Project. “I have to admit that, even at the health department, I’ve been trying to get Ken to work for me,” he said. Chen said an ongoing review of DCF’s structure and staffing remained on-track and would be completed early next month.